The New York State Energy Research and Development Authority (NYSERDA) announced improvements to NY-Sun’s highly successful Megawatt Block incentive program for non-residential and large commercial and industrial solar projects. The redesign, made in response to a rapidly changing market, includes expanding the incentives, supporting larger solar projects and encouraging development in a greater variety of locations, including brownfields, landfills and at affordable housing locations. The NY-Sun program supports Governor Andrew M. Cuomo’s mandate for 50 percent of the state’s electricity from renewable resources by 2030. The NY-Sun Megawatt Block program has already supported 652 megawatts of completed projects and another 979 megawatts are currently under development. The Megawatt Block has provided a stable, transparent incentive structure for project developers since it was introduced in 2014. The redesign represents a continued commitment by the state to ensure the growth of the evolving solar industry and the program revisions are the result of ongoing coordination with New York’s solar developers and stakeholders. The incentive program is divided into three regions across New York: the LIPA/PSEG-Long Island service territory, the Consolidated Edison service territory, and Upstate. The incentive steps down over time based on market activity by sector and region. The program revisions encourage the development of new projects by accelerating payments and providing new financial incentive “adders.” Development in limited use areas, projects built on brownfield or landfill sites, on rooftop or parking canopies in ConEd territory, and at affordable housing will now be eligible for a higher incentive. Reducing the energy burden of low-income households and preserving New York’s valuable agricultural land are priorities of Governor Cuomo’s Reforming the Energy Vision strategy, which is building a cleaner, more resilient and affordable energy system for all New Yorkers. To encourage solar deployment for business owners, the revisions also increase the project size limit of the non-residential incentive program to 750 kilowatts from 200 kilowatts. The maximum system size for commercial and industrial projects was recently increased to 7.5 megawatts. The increased size caps further support project development by allowing greater economies of scale. 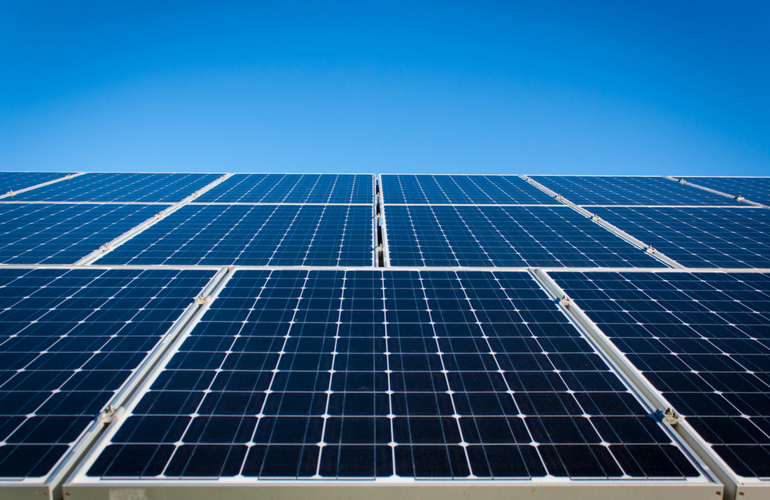 A robust sector of the New York solar industry is in community solar projects. Eighteen community solar projects have been completed statewide and more than 600 megawatts are under development. Community solar offers greater access to solar through community-based projects by allowing residents and businesses who may or may not own property or have room to install solar panels at their location to subscribe to a local community solar project. Subscribers still have energy delivered through their regular electric provider while the power produced from the solar array is fed directly back to the electric grid. The grid is supplied with clean, renewable energy while subscribers get credit on their electric bills. NY-Sun is Governor Cuomo’s $1 billion initiative to advance the scale-up of solar and move the state closer to having a sustainable, self-sufficient solar industry. Since 2011, solar in New York State has increased more than 1,000 percent and leveraged nearly $2.8 billion in private investments. NY-Sun will deploy at least 3 gigawatts of capacity by 2023. There are more than 12,000 people engaged in solar jobs across New York.